This Summit unites Extension organizations in addressing professional development priorities related to the growing urban influence and urban-suburban-rural interdependencies in our country. The professional development leadership from each of JCEP’s seven member organizations along with other strategic partners will convene to begin building a collaborative network. Formal and informal professional development in Extension occurs across many systems, including state- and regional-based Extension units, Joint Council of Extension (JCEP) professional organizations, eXtension, the Journal of Extension (JOE), the Extension Committee on Organization and Policy (ECOP), the Western Center for Metropolitan Extension & Research (WCMER), and the National Urban Extension Leaders (NUEL). Why a Focus on Urban Extension? The urban context of diversity, complexity, and scale require Extension professionals, with diverse backgrounds, to develop unique competencies that build upon those addressed through existing professional development programs. This project advances the National Urban Extension framework and implementation plan, as well as priorities identified by other Extension organizations. During this one-day event, participants will map existing professional development efforts, identify linkages, and explore potential collaborative initiatives to address the urban context influencing Extension professionals. JCEP organizations can attract new members and serve existing members working along the urban-rural continuum. Extension leaders can leverage national resources to collaboratively prepare Extension professionals to improve competencies and impacts. 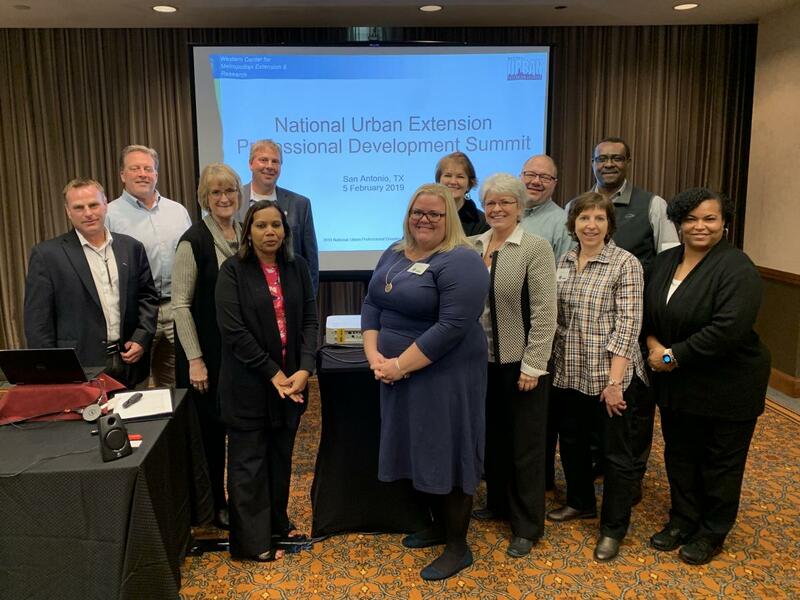 Extension professionals will be more prepared to represent university Extension in urban communities and better equipped to contribute to impacts in the city. 16 people from across the country participated in the invitational event, including ECOP’s professional development leader, an eXtension leader, and others with diversity based JCEP member particiation and ECOP regional representation. All participants are sharing next steps, including follow-up actions with integration of NUEL, JCEP, eXtension, Western Center, etc. Check back for updates regarding progress made at the Summit and next steps.